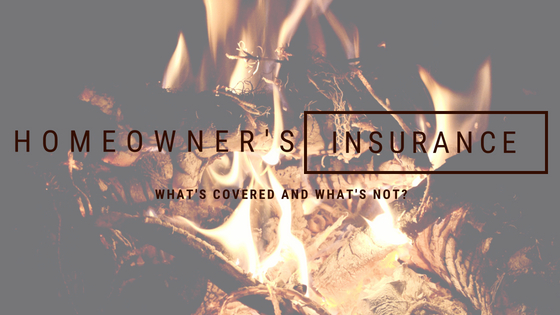 Homeowner's Insurance-What's covered and what's not? | The Shenbaum Group, Inc.
Homeowner’s insurance covers a wide range of losses to your property. Whether you are going to sell your house, rent the house, inherited a house, own a vacant house or just enjoying life in your house, you should keep up to date with your coverage. But it may surprise you to find out what isn’t covered. You should know what is and what isn’t covered before you have to file a claim. You need to protect yourself, your family and your bank account. What is typically covered in homeowner’s insurance policy? Losses on the contents of your house to disasters or burglary are typically covered in standard policies up to a maximum. That maximum is usually a percentage of the structural replacement cost coverage. Standard policies cover accidents and injuries to others while on your property, even if you are sued. Damage that you, your family, or your pet cause to someone else or their property is also typically covered. Most standard policies cover accidents like tree branches falling onto the roof causing damage or a vehicle running into your property (heaven forbid that ever happens). Losses from a house fire, wildfire, as well as the resulting water and sprinkler damage that extinguishing the fire may cause is also covered on standard policies. Weather natural (hurricane, wind, tornado, lightning) or man-made (rioting or civil unrest) are usually covered. So what is usually not covered by homeowner’s insurance? Standard policies exclude losses due to flooding or mudflows. However, you can get flood insurance through some insurance carriers via the National Flood Insurance Program. Make sure to check into that if flooding is a concern in your area. In the beautiful State of California, standard policies do not cover losses due to earthquakes. However, you can get earthquake insurance but it’s not inexpensive. Do you think the “big one” is coming? If so you should look into that extra coverage. Losses due to ground movement such as settlement, liquefication, slope slippage, erosion and rockslides are typically not covered. Losses from normal use, mechanical or electrical failure, sewer or plumbing back-ups, and termite damage, none of these are covered with standard policies. War is something we shouldn’t have to think about ever. But, war and nuclear disasters are also not covered. The best way to know what your policy covers is to read the actual policy, then call and talk to your insurance agent. And if you have a vacant house, even if you are selling your house, make sure you have coverage. There is typically a time period when a house can be vacant without additional vacant house insurance coverage. The only way to know this is to read the policy and ask questions. Be informed, your bank account will thank you.